We will be closed August 30th -September 1st for the Labor Day Holiday. We will re-open on September 2nd at 10am. Parties for the summer are ending soon, hurry and get some sunshine cutouts to brighten up those rainy days! Looking for a special gift for your guests? 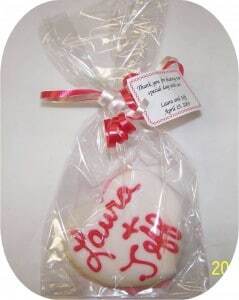 Why not a cookie favor with a special note attached? Prices range from $1.69 to $2.29 per favor. 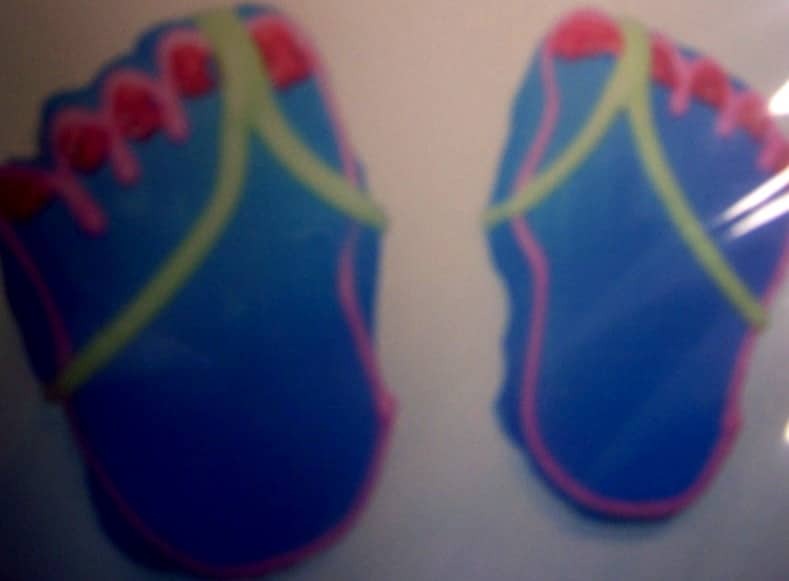 Add a special note too for only 10 cents each! 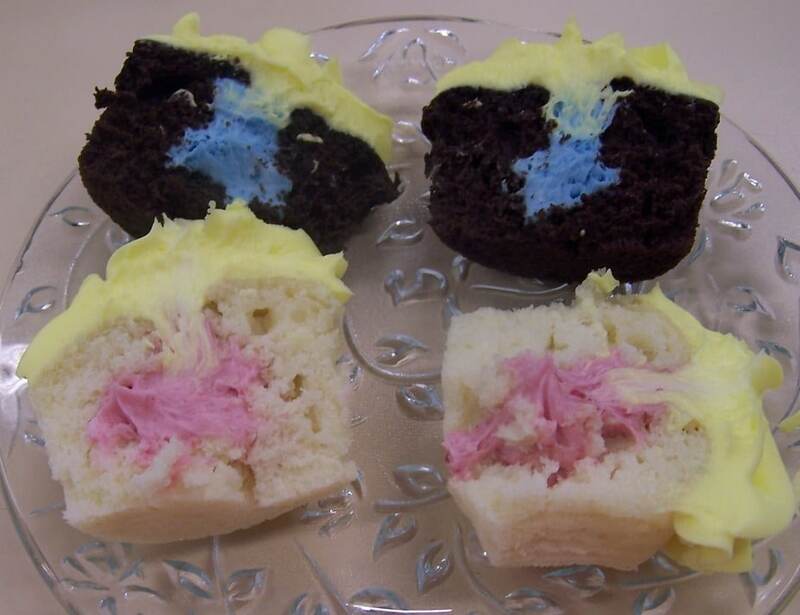 Want to surprise your guests with the gender of your baby, try our gender reveal cupcakes. 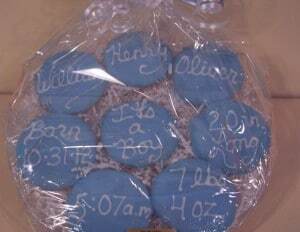 Gender Reveal cupcakes are $7.49 per dozen. Choose from Yellow, Chocolate, Raspberry, or Carrot. 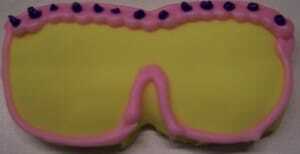 A baby plate for the new parents is a great way to welcome the new baby. The Baby Plate includes 8 circle cut-outs decorated with the baby’s name, DOB, weight, length, time of birth, and “It’s a boy” (girl) arranged on a clear tray.